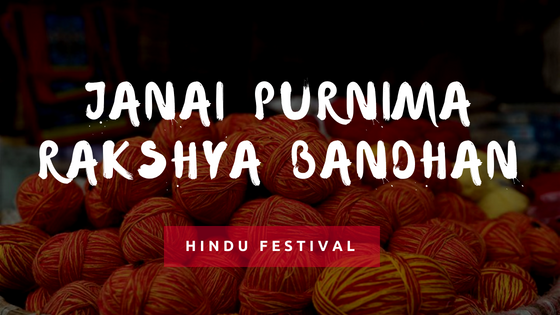 Janai Purnima is a Hindu festival celebrated by tying a thread(Taha) in the wrist as a form of ritual protection. Rakshya Bandhan is celebrated (mainly in Terai Region of Nepal) where a sister ties Rakhi to their Brothers. Let’s celebrate this festival of bond and purity together with our friends and family, brother and sister. 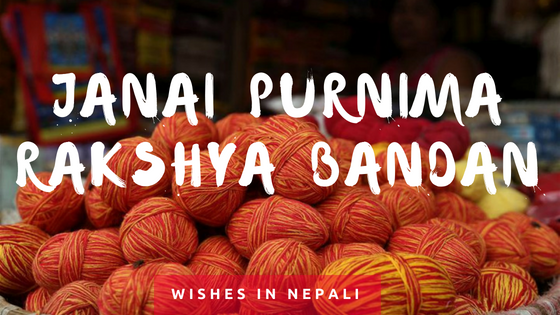 Here is a collection of Janai Purnima SMS Messages and Happy Rakshya Bandhan Wishes in Nepali. On this most auspicious day, I would like to wish all of my friends and families s a very wonderful day filled with joy and celebrations. Hope everyone enjoys delicious Qwati while receiving blessings from their gurus, elders, siblings and loved ones. There is no better friend than a brother and no better brother than you. Happy Raksha Bandhan. It’s lovely that we got to grow up together like two peas in a pod. Happy Rakshabandhan to my sweet as sugar brother. Dear Bhai/Dai you are being badly missed. Love you to the moon and back. Happy Rakshya Bandhan. You never say no, you never say anything’s impossible and you never say you can’t. That’s my bro, a superman who make things possible and who make paths smoother. Happy Rakshya Bandhan Brother. I may search the world over, there could not be a better brother than you. Happy Rakshabandhan Bhai! Rakhi is a thread that binds two souls in a bond of love and joy forever. Happy Rakhi. Brothers are like streetlights along the road, they don’t make the distance any shorter but they light up the path and make the walk worthwhile. Love u Bro. Sisters are like streetlights along the road, they don’t make the distance any shorter but they light up the path and make the walk worthwhile. Love u, Sis. Dear brother, wishing you lots of prosperity, love, and happiness on the auspicious occasion of Raksha Bandhan. Dear Brother, on this Raksha Bandhan I wish to say that you are the best brother and you mean to me the whole world. Happy Raksha Bandhan.